The two keys to making quick, healthy meals and snacks are to keep a well-stocked kitchen and to spend a few minutes planning meals every week. Buy foods you can make and serve in a hurry. Look for items that are low-sodium (salt), fat-free or low-fat, and choose canned fruit packed in water or juice. Stock your pantry with healthy snack items, such as dried fruits, whole grain crackers and nuts. Serve goodies only on special occasions. Don’t tempt your family with chips, cookies, candy, soft drinks and other junk foods. Here is a basic list of versatile staple foods to stock in your pantry, refrigerator and freezer. The list can be personalized based on the foods your family likes and uses often. Vegetables & Fruits: Canned, Frozen or Fresh? 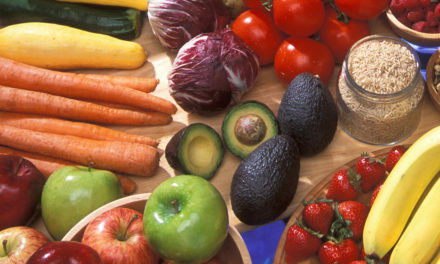 Focus on consuming more vegetables and fruits, whether they’re fresh, frozen or canned. Research published in 2007 in the Journal of the Science of Food and Agriculture showed that canned and frozen products often contain as many or more nutrients than fresh produce from the grocery store. Studies by the University of Massachusetts show that recipes prepared with canned ingredients are as nutritious as recipes using fresh or frozen ones. Canned fish contain more calcium than the same amount of freshly cooked fish. However, the amount of fiber in canned vegetables and fruits is often less than the amount in fresh or frozen foods. If you buy fresh vegetables and fruits, plan on using them within a week, because they lose nutrients during storage and cooking. According to FDA’s Center for Food Safety and Nutrition, fresh fruits and vegetables could lose almost half of their vitamins within a few days if not chilled or preserved properly. Exact losses vary for specific nutrients, foods and conditions. When shopping for vegetables and fruits, take the time to compare the costs of fresh, frozen and canned foods to see which is the cheapest. Let the first family member home from work start the meal. As an incentive to cook, agree that the cook doesn’t have to clean up! Clean out the refrigerator before going to shop. This helps you create a more accurate grocery list and makes it quicker to put away the groceries. Stock a variety of seasonings and condiments, because they can transform healthy food into a delicious meal. Buy prepackaged greens, vegetables or fruits for quick salads. Plan to use them within a day or two. Make a main dish salad by adding cooked meat or poultry to prepackaged salad greens. For an easy main dish, brown chicken breasts in a small amount of oil. Simmer until done in equal parts of apple juice and low-sodium broth seasoned with a teaspoon of rosemary and a teaspoon of thyme. Marinate meat in low-fat Italian salad dressing. Throw away leftover marinade, because it is unsafe to reuse it. Cover boneless chicken breasts or strips in low-fat Italian salad dressing/marinade and cook in the microwave. For a delicious side dish, pour some of the hot marinade over rice. Make a quick side dish of Spanish rice by stirring salsa into prepared rice. Fill pita pockets with any sandwich filling or use them as bases for small pizzas. Sprinkle vegetables with balsamic vinegar or rice vinegar for added zip. Make a quick soup base with vegetable juice. 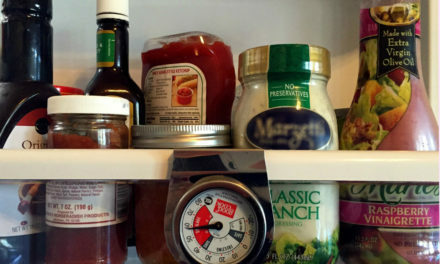 Keep peeled onions in the refrigerator so they are handy when you need them. Use within a few days. In freezer bags, package meal-size portions of meat and poultry for grilling. Add marinade, which will add flavor as the meat thaws.